Thousands of single-use plastic bottles. Hundreds of car and truck tires. Countless pieces of Styrofoam. Soccer balls and basketballs. Plastic toys. Barge line. 55-gallon drums. Oil cans. Scrap metal. Bedframes. Televisions. Two bowling balls and a hot tub. All told, 56,088 pounds of trash. 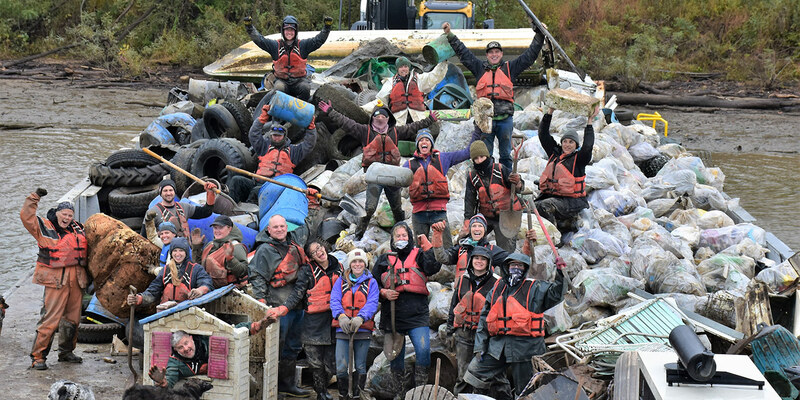 That was the haul by the volunteers of In Good Company® who combed the banks of the Ohio River over two weeks in mid-October 2018, filling their large compostable trash bags and nearby river barges with the detritus of modern society—forgotten garbage often caked or buried in mud, some of it there for days or weeks, some of it for decades. 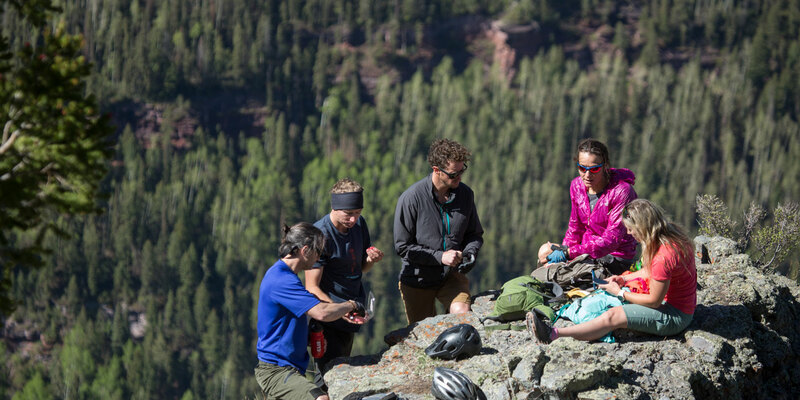 In Good Company, an alliance of values-driven businesses Clif Bar & Company founded a decade ago, brings companies together for a shared purpose, donating the sweat equity of their employees to help address food, housing and environmental challenges in communities across the country. Several times a year, In Good Company sends 15 to 20 employees from participating businesses for a week to work alongside local nonprofits and residents on key community issues. 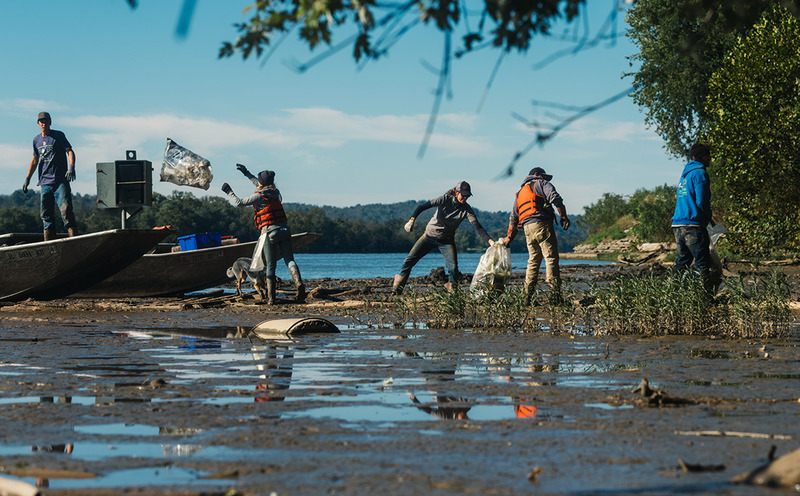 This time, sending two different groups of employees for back-to-back weeklong volunteer stints, In Good Company brought 35 volunteers from 16 companies in 11 states to rural Ripley, Ohio, about an hour southeast of Cincinnati, to help make a dent in the garbage lining the Ohio River, one of the nation’s most polluted rivers. It’s also the drinking water source for more than 3 million people and a transport hub for tons of coal annually. If oceans are the target, why clean up a river? The Ohio River flows into the Mississippi River, which empties into the Gulf of Mexico. 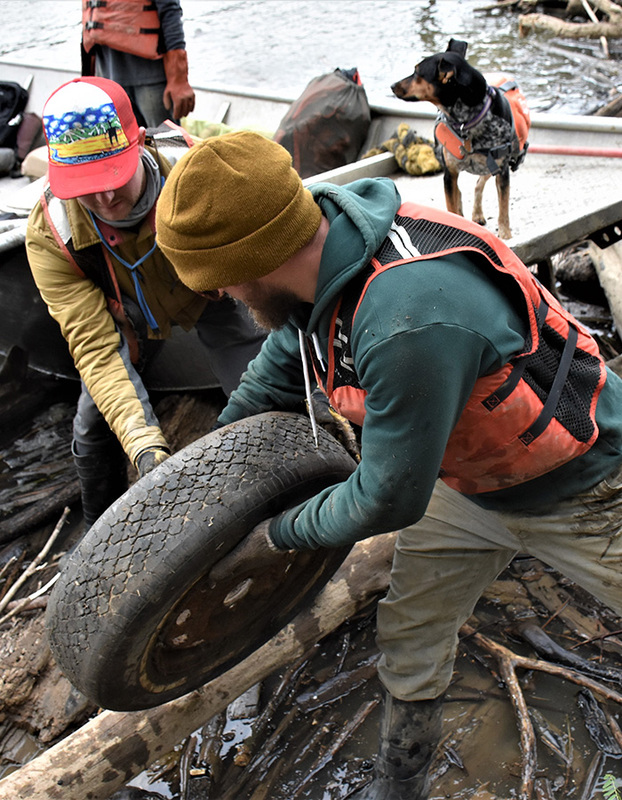 “It’s easier to get plastics out of the water system earlier—in our rivers—than it is in the ocean,” Brian explained. In Good Company worked daily on the Ohio River with Living Lands & Waters, the world’s only “industrial strength” river cleanup organization. 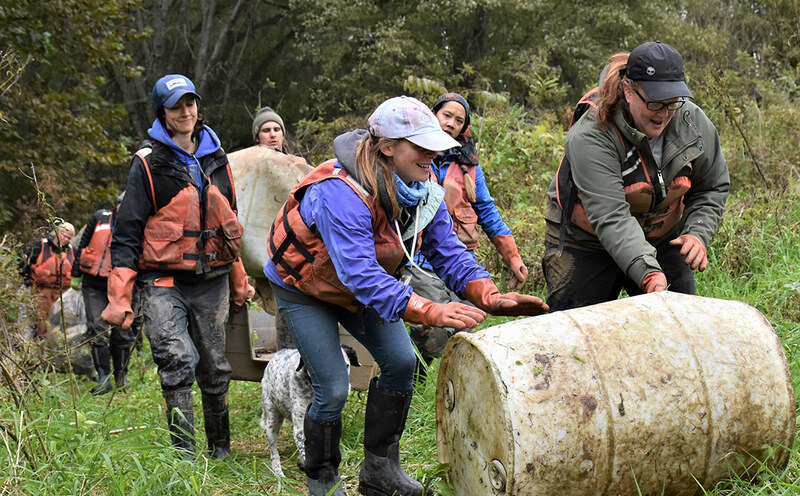 With a staff of 10 who live on an eco-friendly house barge up to nine months a year, Living Lands & Waters over the past 20 years has with student and adult volunteers removed 10 million pounds of trash during 1,100 cleanups on 24 rivers in 21 states. 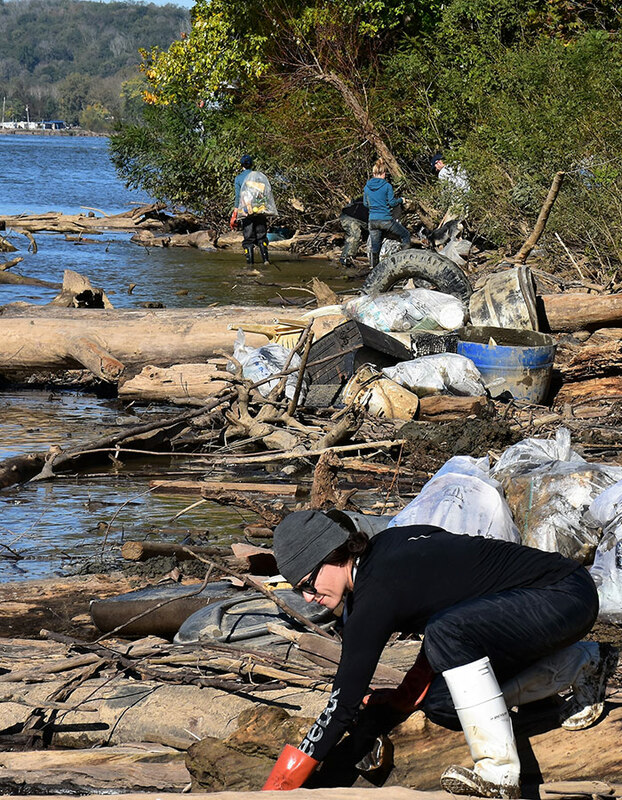 In Good Company volunteers vowed to take similar steps to reduce river pollution. Many said they will never again purchase water in single-use plastic bottles. Others said they will emphasize “reduce-reuse-repurpose” in their lives and those of friends and family. “I’m already looking for alternatives to the plastic contact lens case that I dispose of every 30 days,” said Annie Reid, a Clif Bar integrated marketing project manager. 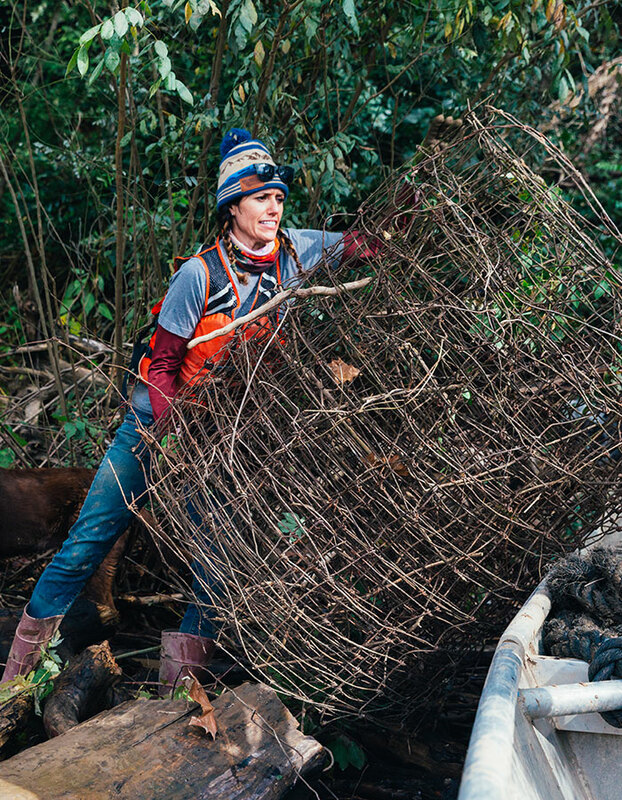 Donations from individuals and businesses help Living Lands & Waters to continue its cleanup projects and educational initiatives. 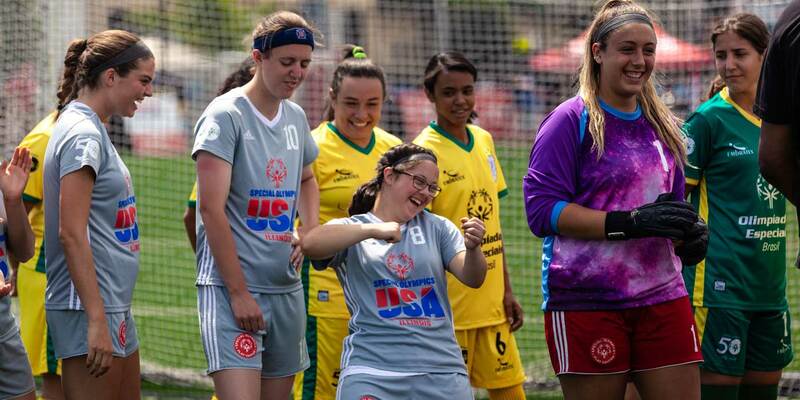 Please consider supporting this amazing nonprofit. If your business may be interested in joining In Good Company or learning how to create a similar collaboration of businesses, contact Val Bisharat of Clif Bar & Company at val@clifbar.com.